To folks in the Kentucky bourbon industry, he’s known as “that fermentation guy”. In fact, he’s been working in microbiology, fermentation science and chemical engineering since attending college in his native Ireland. But to those lacking that insider baseball insight, so to speak, Conor O’Driscoll is a new name to hear. 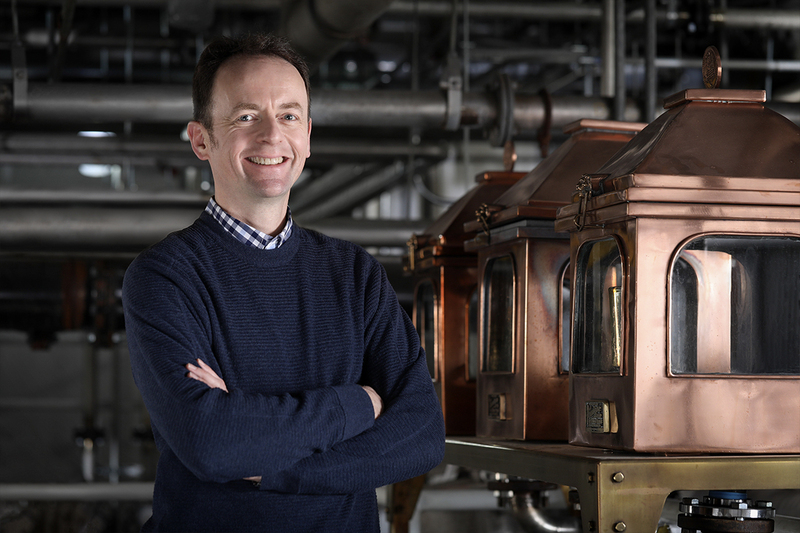 However, since he’s just been named the distiller manager and master distiller for Heaven Hill, Kentucky’s largest single-site distillery, we at Distiller think it’s time to get to know him. Distiller: After your transfer to the United States, how did you go from making cheese enzymes to making bourbon? O’Driscoll: “When Pfizer sent me to Terre Haute, Indiana [from Ireland], it was for a three-to-six-month assignment. [But] after four months they asked me to stay. I came down [to Kentucky] for the weekend … Driving back to Terre Haute that Sunday evening, wrestling with the choice it came down to, ‘I’ll stay as long as it’s fun.’ Because I had had such a fun weekend. It’s still fun I’m glad to say! Distiller: So once you had the bourbon bug, you pushed yourself and your career in that direction? Distiller: So the whiskey comes first? Distiller: And if you get to trot out and do an appearance somewhere, great? Distiller: It sounds like the new role is an extension of what you’ve been doing since 2004 when you got into the industry, but faster in terms of volume and at a larger scale in portfolio breadth. Distiller: Then there’s the new master distiller title and the marketing responsibilities that go along with that. Were there things in your career path that prepared you for that title as well? Distiller: Do you feel comfortable with these two titles, now? Distiller: Heaven Hill has an enormous portfolio. It is iconic not just for individual products but also for having so many beloved brands. Is it daunting at all to take on the responsibility for something that large? Distiller: In some distilleries they’re taking the tack of separating the concepts of distillation and maturation. But it sounds like you have responsibility for raw ingredients, process, maturation, selection, batching—all the way into bottle, is that correct? Distiller: Thinking about making whiskey requires looking at a very long timeline. Is there anything specific you’re thinking about that you want to accomplish across the next 10-20-30 years, anything that we should anxiously look forward to? Distiller: What’s your favorite way to drink bourbon? O’Driscoll: “Generally speaking, on the rocks. Distiller: Is there anything we haven’t talked about that you’re excited about right at the moment that you can share? O’Driscoll: “The future, the future writ large! This is a really exciting role. 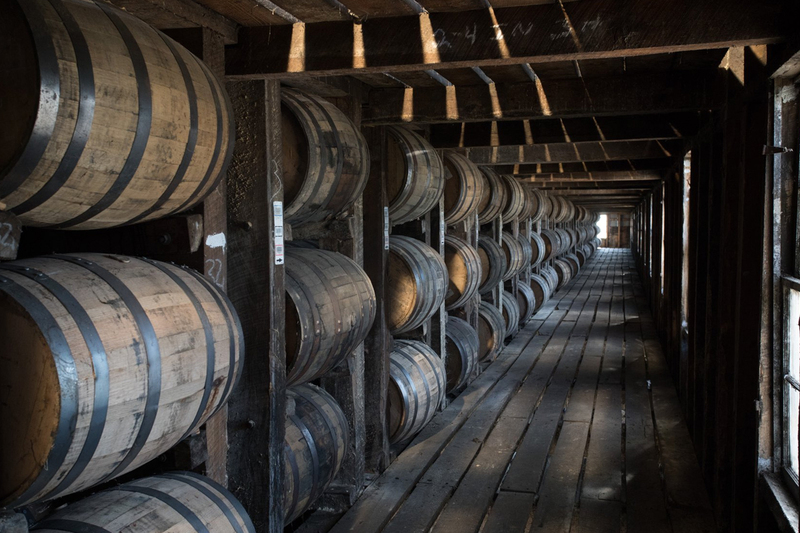 Heaven Hill’s been in business for 85 years. This distillery has been running for decades … to continue that legacy, to maintain consistency, maintain quality.